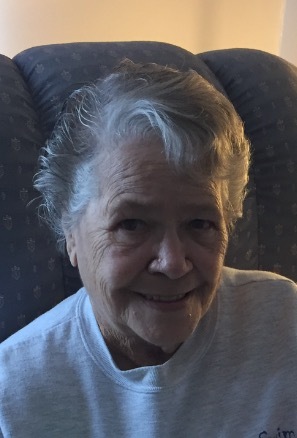 Irene (Maslen) Stephens, age 80, a loving mother and grandmother passed away on Thursday, January 12, 2017. She was a native of Pleasant View, CO and resident of El Dorado Springs, MO. She spent her life caring for the elderly in the nursing home and loved to travel with her friends. Preceding her in death were her parents, Charles Maslen and Opal Plain Maslen; and siblings, James Maslen, Pauline Weir, George Maslen, Tommy Maslen, and Novella Fitzpatrick. Irene is survived by her children, Jackie Jackson and wife Jenise, Rickie Jackson and wife Becky, Bobby Jackson, Starla Smith, and Sherri Collins; twelve grandchildren, Eric, Jeanine, Joshua, Rickie, Christie, Katie, Lacie, Hollie, Ashton, Skyler, Chandler, and Madison; many great-grandchildren; siblings, Thelma Goddard, Forest Maslen, Geneva Newton and husband Larry, Johnny Maslen and wife Nahwana, and Elton Maslen; numerous nieces and nephews; and best friend, Judy Dingley. Final disposition was cremation. A private service will be held later in Colorado.